Take a look at this real estate market comparison between Tucson and Scottsdale, Arizona. As you can see from the comparison grid above, Tucson is a much more affordable option for homeowners than Scottsdale. Scottsdale real estate is selling for 88% more money per square foot than Tucson homes when the types of homes being sold are of similar quality in both cities. Additionally, schools in Tucson are primarily public under the Tucson Unified District. Empire High School, Elvira Elementary School, and Vision Charter School all have five-star parent ratings. There are also some other school options beyond the public school system. For example, there are private Catholic schools that kids can attend in Tucson from elementary all the way through high school. Scottsdale also has a mix of public and private schools for kids in the area. Cave Creek Unified School District makes up 8 total schools while Scottsdale Unified School District makes up 34 schools in the area. The majority of schools in Scottsdale are highly rated by parents, with the private schools earning higher rankings typically than the public schools. Looking at community info and crime rates for Scottsdale versus Tucson can also help homeowners make their final decision on where to buy a home. Property crime is significantly lower in Pima County compared to Maricopa County, with just 0.54% of the Pima County population affected by property crime compared to 5.04% of the Maricopa County population. Scottsdale alone sees 3.54% of its population affected by property crime, with the Arizona average at 4.63%. These are important stats to consider when looking at homes for sale in Scottsdale and Tucson. 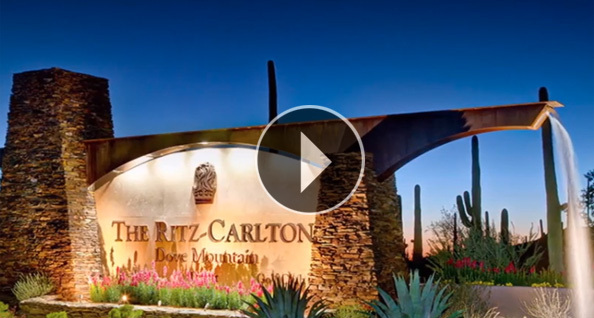 If you’re now considering other options beyond Scottsdale after factoring in the price per square foot, schools, and crime rates, The Residences at The Ritz-Carlton, Dove Mountain is a quiet and safe luxury community nestled into the foothills of the Tortolita Mountains. This Tucson luxury real estate community offers homeowners estate home sites and customizable residences for a sophisticated clientele. To learn more, visit http://theresidencesdovemountain.com/ or call toll free at (877) 451-7205.